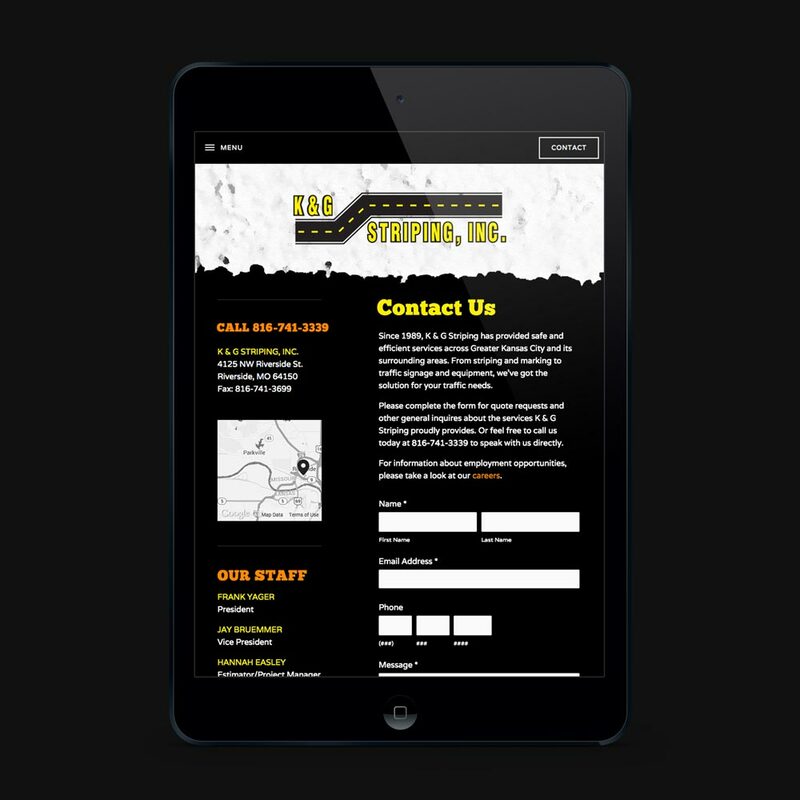 Kansas City-based K & G Striping, Inc. not only wanted a website they could be proud to show their peers, they were really looking for something that would attract the type of work they were looking to obtain. A streamlined responsive design combined with a strong SEO strategy shot K & G Striping to the top of search engine results pages and leaps and bounds ahead of their competition. 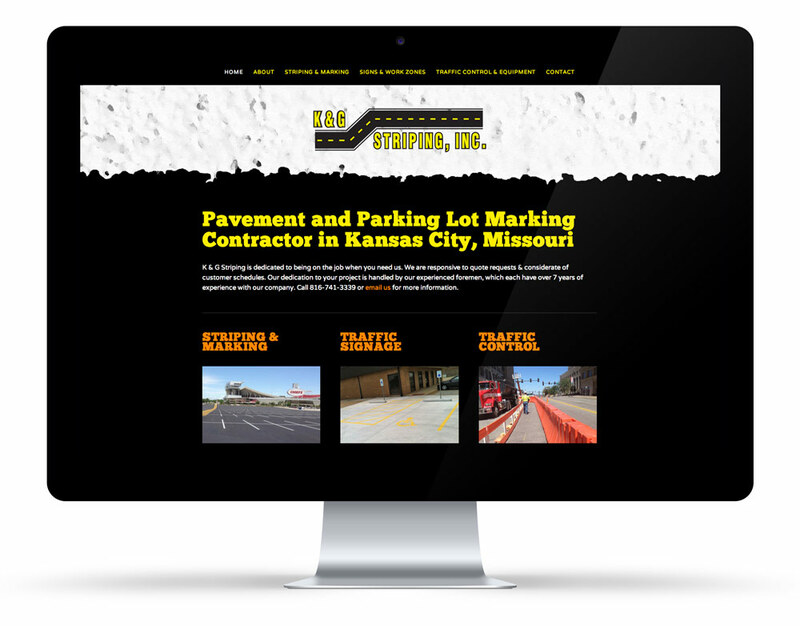 A strategic SEO audit of the asphalt striping market in the Kansas City metro area gave us the data we needed to implement an efficient and effective search engine optimization game plan. Only a few short months after launching the newly designed site and SEO strategy, K & G Striping's site visits and online form submissions tripled.